Chicago Bears wide receiver Cameron Meredith went down with a serious knee injury in a preseason matchup against the Titans today. The Chicago Bears are already heading into this upcoming season with enough questions. The last thing they need is more bad news. Unfortunately, that is exactly what happened today. In a preseason matchup against the Titans, Bears wide receiver Cameron Meredith went down with a serious knee injury. Meredith’s leg was immediately stabilized by the medical staff and he was carted off the field. The video makes the injury look as bad as it sounds. Meredith was tackled by Jonathan Cyprien one way, while his knee goes the other way. If you are squeamish, it’s not something you want to watch. There’s been no official update on Meredith, but you can’t expect a positive outcome. He likely did serious ligament damage to his left knee. The injury is a huge hit to the Bears offense. Meredith didn’t see many targets as a rookie in 2015, but broke out last season. He finished the year with 66 receptions for 888 yards and four touchdowns. After Alshon Jeffery’s departure this offseason, Meredith was expected to be one of top offensive producers. He had already connected twice with Mike Glennon earlier in the game for 44 yards. 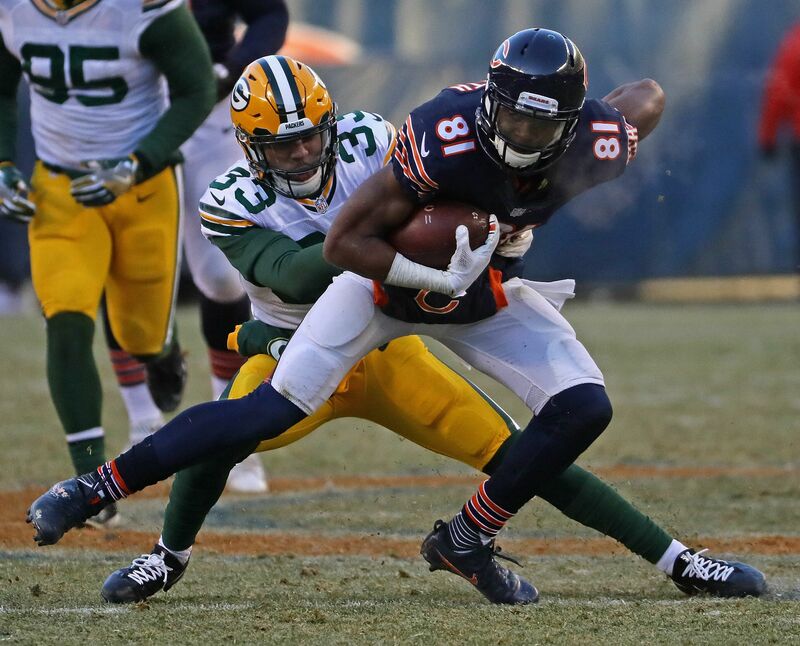 The Bears brought in wide receiver depth during free agency, but still lack a No.1 receiver. They certainly don’t have that in Markus Wheaton, Kendall Wright or Victor Cruz. Kevin White has the talent, but he’s barley seen the field because of injury problems. Whether it’s Glennon or Trubisky, they’ll have their work cut out for them this season. Meredith’s injury only increases the value of running back Jordan Howard. He’ll be relied on once again to produce on the ground and in the passing game.